Entrevista do Primeiro-Ministro ao Bangkok Post. 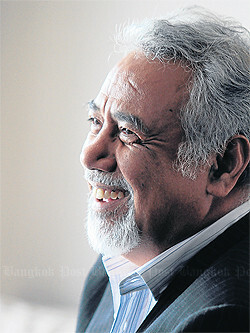 After spells as a jailed revolutionary and Timor-leste’s first president, Xanana Gusmao finds new satisfaction in the concrete achievements he can bring as prime minister. “I don’t know if it was destiny or if it was fate that I landed up in this position,” he admits. “We are looking with Asean members to set a roadmap to enter; we are not rushing for a full membership,” he admitted, adding that observer status would suit the country for now. “We have not gone as far as we would have wanted but the oil fund is there to help us,” he says, pointing to the copy2 billion in revenues the fund has amassed so far. "Mr Gusmao says it is now time for the younger generation to take control, although he feels some from his generation can still contribute with advice and oversight."